Our attorneys are currently investigating claims that the herbicide dicamba is responsible for destroying millions of acres of crops and endangering the livelihoods of thousands of farmers. Dicamba is highly volatile and can move onto non-resistant plants and damage them. If the crops on your farm were injured by dicamba, contact us today. Federal crop insurance won’t cover crops damaged by dicamba but you may be eligible to file a lawsuit against the herbicide’s manufacturers. Dicamba is a powerful herbicide that was previously not permitted for direct application on crops because of its toxicity and tendency to move off-site and potentially harm other farmers’ crops. However, the herbicide of choice in the U.S. — Roundup — has been sprayed by farmers to the point that some weeds are now resistant to glyphosate, its primary chemical. Additionally, there have been lawsuits filed against Monsanto, the makers of Roundup, alleging that the weed killer causes lymphatic cancer. As a result, farmers have turned to dicamba to kill these new “superweeds,” which now affect more than two-thirds of U.S. farm acres (61 million acres). What are the Alleged Problems With Dicamba? In order to combat the growing problem of Roundup resistant superweeds, Monsanto developed new strains of soybeans and cotton that would be resistant to dicamba. The EPA however, had serious concerns about Monsanto’s proposed new uses for dicamba, which had long been known to be highly volatile and uncontrollable. 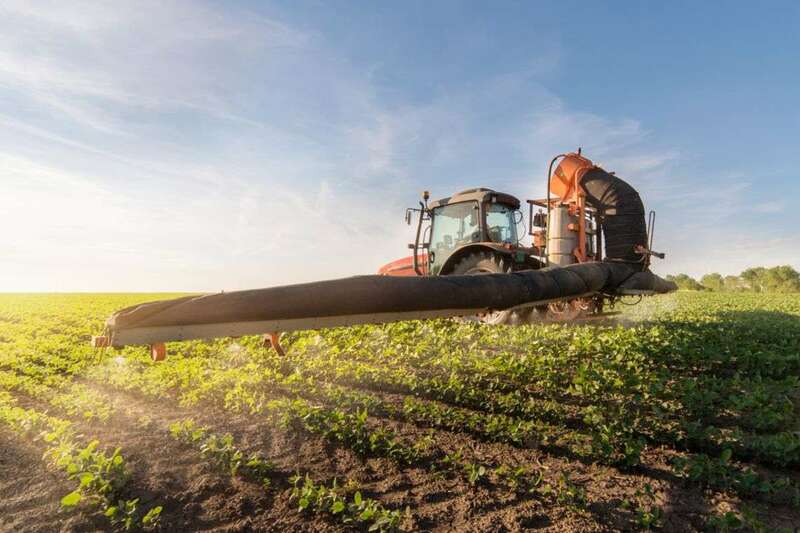 The EPA delayed approval of the new dicamba formulations for several years due to its concerns about the chemical’s propensity for off-site movement and the significant harm that it might pose to farmers. It approved three new formulations of dicamba — XtendiMax (manufactured by Monsanto), Engenia (manufactured by BASF), and Fexapan (manufactured by Dupont) — for the 2017 growing season which were supposedly less likely to be harmful than prior versions of dicamba. However, these dicamba formulations were introduced to the market without independent rigorous testing. As a result, millions of acres of farms have been damaged in a real life science experiment conducted by Monsanto and the other manufacturers of dicamba at the farmers’ expense. There have been a record number of complaints about off-target dicamba movement in multiple States. In Arkansas alone, there have been at least 986 complaints made by farmers to the Arkansas Plant Board. Arkansas and Missouri enacted bans on the use of dicamba, and several other States added additional restrictions in the middle of the 2017 growing season. There have been reports of dicamba damaging crops in Alabama, Arkansas, Georgia, Illinois, Indiana, Iowa, Kansas, Kentucky, Louisiana, Michigan, Minnesota, Mississippi, Missouri, Nebraska, North Carolina, North Dakota, Ohio, Oklahoma, Pennsylvania, South Carolina, South Dakota, Tennessee, Virginia, West Virginia, and Wisconsin. It is estimated that approximately 3.6 million acres of soybeans have been damaged by dicamba already. That number may very well rise. Additionally, valuable crops like tomatoes, tobacco, melons, pumpkins, and fruits have also been damaged by dicamba, as well as standing timber and ornamentals. If you believe your crops were damaged by dicamba, you may be at risk of significant yield loss. Contact us today to find out if you can file a lawsuit and hold the manufacturers of dicamba responsible for the damage caused to your farm. Can I File A Lawsuit If My Crops Were Damaged by Dicamba? If your crops were damaged by dicamba this year you could experience a significant yield loss as a result. Our product liability lawyers want to hear from you. Federal crop insurance won’t cover the losses that result from chemical drift and a lawsuit may be the only way to recover compensation. Contact us today.